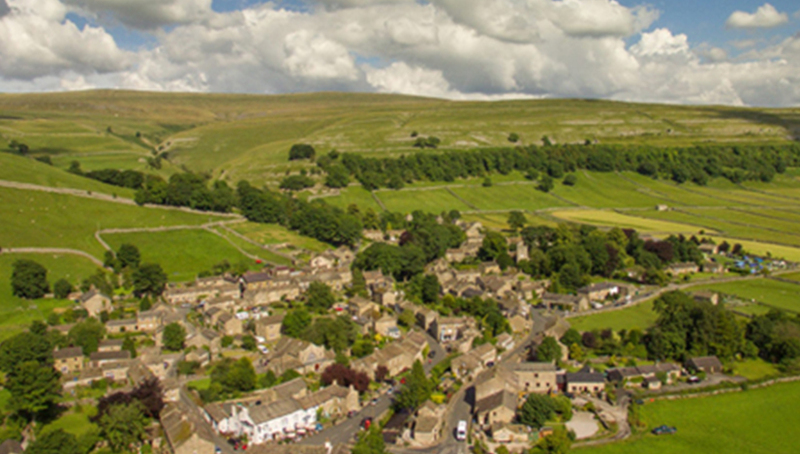 The villages of Kettlewell with Starbotton form one parish, set in the spectacular limestone scenery of Upper Wharfedale in the heart of the Yorkshire Dales National Park. T he Yorkshire Dales were covered by ice around 10,000 years ago, during the last glacial period. The retreat of the ice left the U-shaped valley that is Upper Wharfedale. It is at a point where deep river valleys formed by Dowber Gill Beck and Cam Gill Beck join Wharfedale that Kettlewell was established. Roman remains have been discovered in the parish. The name Kettlewell has Anglo Saxon roots; in the 8th century it was known as Cetel Wella, meaning 'a bubbling stream'. After the Norman conquests the village became part of the Coverham Abbey estates. It was granted a charter for a market in 1320, the market being held in the square opposite the Kings Head Inn. Starbotton is located two miles north of Kettlewell. Like Kettlewell, its records date back over 1000 years. The name is thought to be derived from 'Stamphotne' (1086 Domesday Book) or possibly 'Stauerboten', 12th century old English meaning 'the place where stakes are got'. D uring the 18th and early 19th centuries Kettlewell and Starbotton became prosperous thanks to the large scale lead mining on the hills to the east of the village, however as the quantities of lead diminished and mining ceased, the villages became more reliant on agriculture. The dry stone walls and field systems for which the parish (and the Dales) are renowned were constructed in the 18th century following the passing of the Enclosures Acts. There are now five farms based in the parish, predominantly involved in sheep farming. 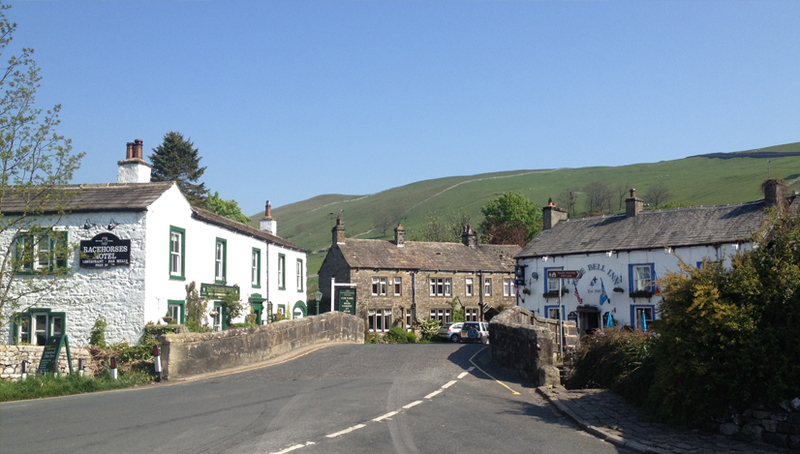 The three inns (originally four) reflect the importance of Kettlewell as a centre for lead mining and smelting and the inns also benefitted from the village being a coaching stop on the stage coach routes between Yorkshire and Teeside. 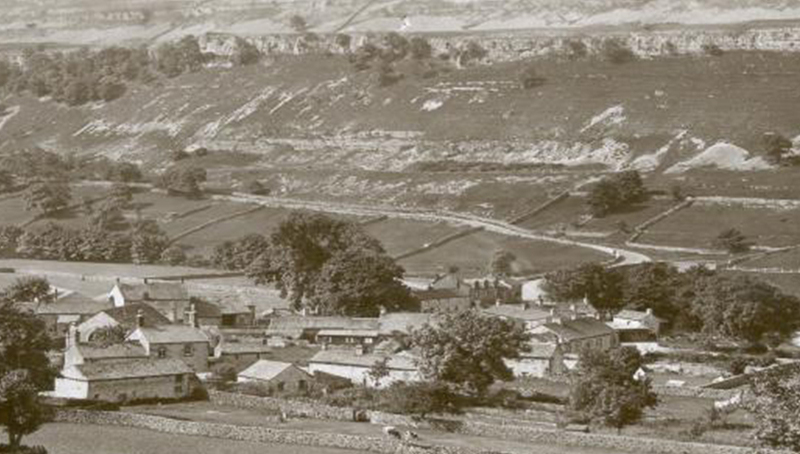 During the late 19th Century into the 20th Century people began to discover Kettlewell and Starbotton as centres for hill walking and tourism became an increasingly important industry for the villages. T oday many people still visit the parish of Kettlewell with Starbotton for the hill walking, one of the most popular routes being to the top of Great Whernside, which is the highest point in Upper Wharfedale. Walkers also pass through the villages on the Dales Way, Lady Anne's Way and the Inn Way. Since the Tour de France in 2014 and the Tour de Yorkshire in 2018, the routes of which both pass through the parish, the numbers of cyclists visiting Kettlewell has considerably increased. Cavers visit the villages for the pot holes in the area, particularly Dow Cave and Providence Pot. Other visitors come to the area just to admire the stunning limestone scenery. All these visitors are catered for with four pubs, a village shop, two tea rooms, a pizzeria and a garage. Plentiful accommodation is available in the hotels and inns, B&Bs, hostels, campsites and self-catering cottages.